Shelf Inflicted: TEDDY ROOSEVELT: AMERICA'S FIRST SUPERHERO? TEDDY ROOSEVELT: AMERICA'S FIRST SUPERHERO? ”I stepped into the roaring crowd of greeters--that was the Roosevelt way. Babies were thrust at me. I wanted to rock them in my arms, reassure a mother or two, but I didn’t dare in a field of bayonets that reminded me of monstrous porcupine quills. I could feel my freedom slip away with a sudden pull, like the silent shrug of a straitjacket. I didn’t require bayonets, not at all. Deep within my throat, I let out the Rough Rider rip. Theodore Roosevelt, always rough and ready. Franklin Delano Roosevelt, our 32nd President, was not the first Roosevelt to be accused of being a traitor to his class. Theodore Roosevelt, the 26th President of the United States, was accused of that long before Franklin entered the fray. Theodore was a true son to his father, who also waged his own battles against inequality. He called his father Brave Heart, and for the rest of his life, he did his best to live up to the high ideals his father embraced. Being called a traitor to your class when you belong to the wealthiest elites was about the largest compliment that could be paid to any man. Teddy was a driven man. One could say he was reckless and almost desperate to push the limits of the definition of what a man is supposed to be. He was living LARGE a century and some change before the concept became a slang term for a lifestyle of extravagance. He did spend money, and it went through his fingers like sand because of his many interests. His version of extravagance was in how he devoted his time and energy to large and small endeavors. He was a New Yorker who bought into the concept of the West representing the place where a man could truly find the person he was meant to be. The West was JUST big enough to contain the expansiveness of Theodore’s vibrant personality. Theodore would have been perfectly happy making a life for himself out West, but the East Coast would be the arena in which he would have to wage a war for the soul of America. The corruption was there; inequality was embraced there, and he wanted the power and influence to change it. 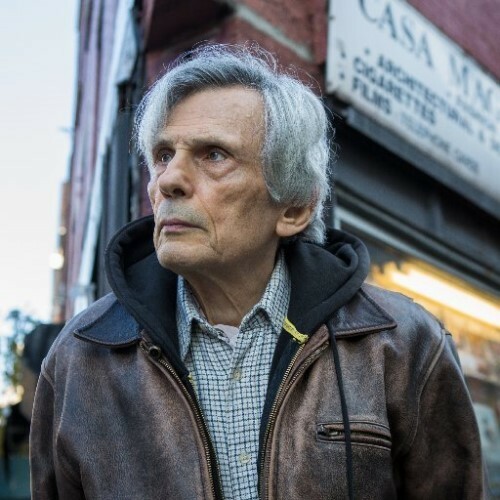 Jerome Charyn brought the legend charmingly to life by telling the story of his life with wit, style, and humor. His descriptions were so vivid and written with such verve that I felt almost as if, from the kaleidoscope of images in my mind, that I was reading a graphic novel. If it were a graphic novel, it would be a weighty volume because there was simply no way to contain Roosevelt to a small panel on a page. Each illustrated panel would have to be a full sized page to accommodate his large teeth, his bullish body, and his booming voice. Theodore took on men with names like Jay Gould and Pierpont Morgan who saw him as a threat to their profits. For men like these, there was never enough money in their possession. The concept of giving men a living wage was as foreign an idea to these rich robber barons as shaking hands with the man in the moon. 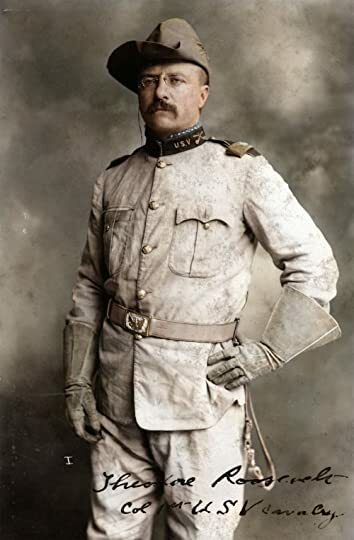 The contentious Roosevelt transformed the NY police department and found that the cancer of corruption had almost consumed the whole body of the police force. He had to cut out more than he kept. The famous newspaper man Joseph Pulitzer knew where his bread was buttered with men like Gould and Morgan, but he also knew that Roosevelt always made good copy. The American people loved Roosevelt. The Republican Party, to which he belonged, was less enamored with the young firebrand. He was too popular to destroy, but he was too unpredictable to trust. He couldn’t be bribed. He couldn’t be reasoned with if he knew his cause was just. He would not fall in line with a party platform. They buried him as Undersecretary of the Navy, but he emerged from there, somehow, the hero of San Juan Hill in Cuba. The crafty Republican bosses, with much chuckling I’m sure, decided that the best place to tuck Roosevelt out of the way was as President William McKinley’s Vice President. Let’s just say, Theodore Roosevelt was impossible to contain. The universe by a series of quirks of fate always seemed to make way for him. The author Jerome Charyn, looking rough and ready as well. This book will be so enjoyable for anyone who has an interest in history. Though this is a novel, it is based upon the true events of his life. People are a product of the times they live in, and a man like Theodore Roosevelt was always knee deep in whatever was going on. For people who know nothing about Theodore Roosevelt, this book will be a great introduction to the man. For those who know a little, they will be given a wonderful back bone of knowledge to help them pursue more in-depth studies of his life. For those, like myself, who know quite a bit about the man, they will be entertained by the way Charyn deftly brought the man and the people around him to life. He was so alive I felt like I could reach into the pages of the book and shake the man’s hand. I want to thank Rachel Gul, Liveright Publishing (@LiverightPub), and Jerome Charyn (@jeromecharyn) for providing me with a copy of this book in exchange for an honest review.